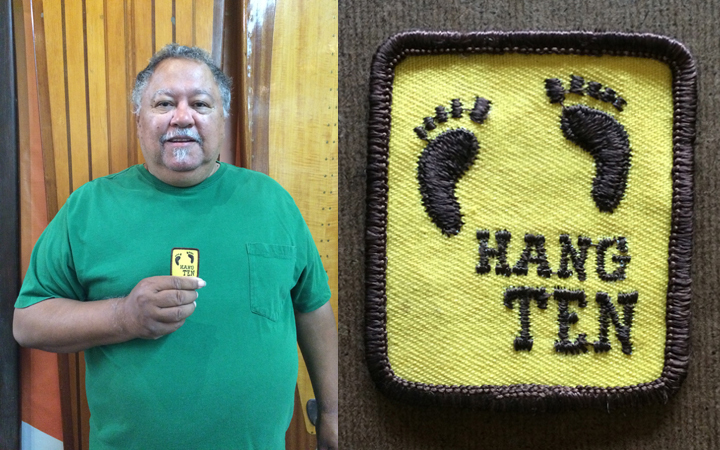 This original Hang Ten patch from 1964 comes to us from Harold Riley. He got the patch from Doris Moore, the seamstress who was responsible for Hang Ten, along with founder Duke Boyd. Hang Ten was among the first mass-produced boardshorts and is still in production to this very day.